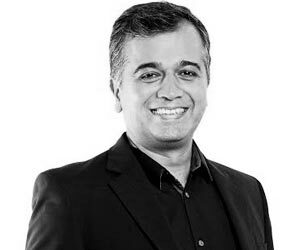 Mr. Sameer Desai, Chief Strategy Officer of Seagull Brand Launch Centre - Brand Launch Centre has been working closely with entrepreneurs with innovative and business ideas and helping them unlock the brand's potential. With an intense experience of 22 years in the industry of brand co-creation, he leads with his team, a scientific process that digs out customer insights that never fail to connect with the segment any business is targeting. As much as he can spot the right button to press when it comes to consumer engagement, he firmly believes that the loop doesn't get completed without the product or service being distinct. This belief of his has entitled him to be part of Berlin School of Creative Leadership program where brand builders from all over the globe come together to redefine creativity and strengthen its power further. O.P. Manchanda, CEO, Dr.LalPathLabs Pvt. Ltd.